I like this one. I need to stop buying watches. Can be got for £90 so a good deal. Good deal and quite a funky looking watch too! Heat. OOS. Cannot pre-order even when it says available in 1-2 days. Nice watch. 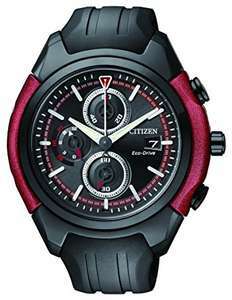 I have been waiting for a "less expensive" Eco Drive watch for ever. Although of course a nice metal band would look great, the rubber wristband is exactly what I would want for daily use. Picked one up this morning.